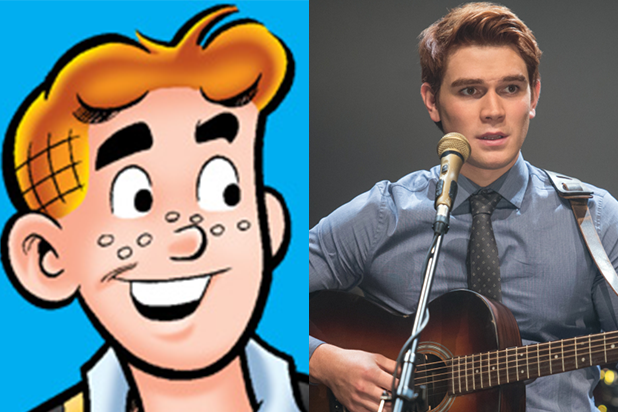 Archie Andrews "America's typical teenager" is just as much a heartthrob in the comics as he is on The CW's "Riverdale." 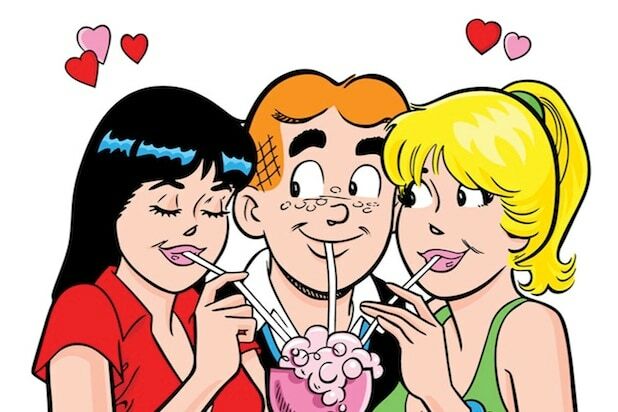 He's constantly keeping Betty Cooper and Veronica Lodge in a love triangle, but he does mean well. His loyalty and willingness to help his friends portrayed in the comics is definitely stressed in the show, especially when he's guilty for things he has no control over, like stopping his dad's attacker. 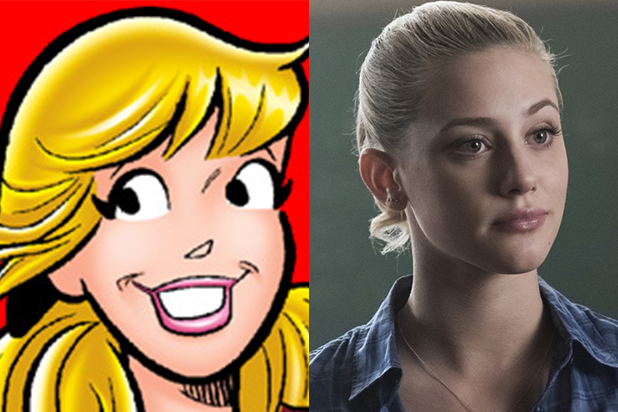 Betty Cooper In the comics, Archie shows more love interest in Betty than he has so far in "Riverdale." In the show, she's still the classic-girl-next-door, but she has a dark side and turns her love of writing into a burgeoning journalism career. Jughead Jones The crown cap is the same, but there are also several differences in Jughead's character. In the comics, Jug is always eating and is much lazier than he is on "Riverdale." His analytical nature and wit do carry over, though. And while Jughead does seem wary of dating at first, he falls head over heels for Betty in the show. Veronica Lodge Yep, Ronnie is still the rich girl in "Riverdale," though her father's jail time have her family's wealth teetering in the first season. Now that Hiram Lodge is in town, maybe her mom won't be as weary for those shopping sprees. Her big heart--and the Archie-Betty love triangle--do carry over. Josie McCoy Josie is just as motivated and obsessed with her band, "Josie and the Pussycats," in the comics as she is in "Riverdale." But in the show, she's much more laser-focused than the goofy, Archie-like character portrayed in the comics. Ethel Muggs At least so far in the show, Ethel is not portrayed as boy-crazy as she is in the comics, where she is obsessed with Jughead. Will we see more of Ethel in Season 2? Kevin Keller In the comics, Kevin is the new kid (a role given to Veronica in the show), and his dad is in the military, not the sheriff. And while Kevin is Veronica's "best gay" in "Riverdale," she actually had a crush on him before realizing his sexuality in the comics. Reggie Mantle Reggie was recast for Season 2 of "Riverdale," and will be playing a much bigger role than he did last season. In the comics, he's Archie's biggest rival and is infamous for his pranks. He's also constantly trying to steal Veronica away from Arch--and the two did go on one date last season, so who knows? Valerie Smith This Pussycat is pretty similar to her "Riverdale" counterpart. Though her relationship with Archie was pretty short lived in Season 1, it's also in the comics. She's determined and level-headed, and not as boy-crazy as some of the other gals at Riverdale High. Chuck Clayton Chuck is Coach Clayton's son in both "Riverdale" and the comics, though he has a more sinister side in the show, as he's part of a group of football players who tally up their girl "conquests." In the comics, he's obsessed with becoming a cartoonist and dedicated to his girlfriend Nancy. Cheryl Blossom Cheryl is Riverdale High's resident mean girl in both the show and the comics. Only the Lodges can rival the Blossom family's wealth, which is pretty much maintained in "Riverdale." She also has her eye on Archie, which was a plot point in the second half of Season 1.